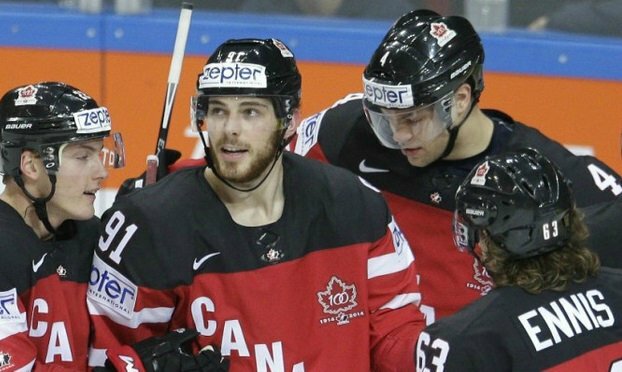 Canada won the 2015 IIHF ICE Hockey World Championship gold medal defeating defending champions Russia in the final with a 6-1 dominating win. Canada were in cruise control throughout the match and when they scored three quick goals in second period to make it 4-0 the game was virtually over by that time. Canada score two more goals with giving just 1 away and the final score was 6-1 as Canada win their first gold in the world championships since 2007. The 2015 IIHF final will be played between Canada and Russia come this sunday evening in O2 Arena. Canada made it to the finals by defeating home favourites czech republic in the semifinals and Canada have been the better side in the world cup all along. Russia however got the better of USA in the other semifinal and qualifying to face Canada in what should be a cracking of a match. The semifinal win over Czech Republic was 9th consecutive for Canada and they shoul go into the final as slight favourites while Russian came from behing against USA to win the semifinals. USA looked like going to win the match untill third quarter came where Russia turned the tables and scored 4 goals with out reply. Here is the details of final match. how to watch it online. Well depending on what country you live in you have several ways to access live streams of Canada vs Russia final. In United States NBC SPorts Network will show the match on TV or you can go to their official website to get the streams (need subscription). In Canada TSN will have the live coverage while UK you can watch the match live on tv through premiersport channel. Russia forgot to field the chief goal scorer, Mr. Putin!